To get you through the worst of the days, drink a lot of water. Yes, it seems weird but water purifies our systems and when you drink water, you keep hydrated and that will also lessen the urge to grab something to eat. 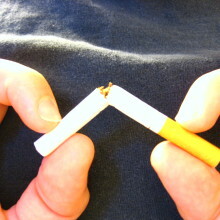 If eating is a trigger for smoking, you have just helped to lower the frequency of that trigger. If you don’t want to drink water, drink tea or juice. It is important that throughout that first week you have constant reminders in front of you about why you have decided to quit. May be you did it because you don’t want to die of lung cancer. Maybe you want to send a better example to your children or maybe you just can’t afford it anymore. No matter the reasons, reminding yourself of those reasons is a good step to keeping yourself from relapsing in that first week. Try a new hobby in that first week. If you can take your mind off the fact that you have quit smoking, you will have a better chance of staying quit. Don’t start stressing out over something or you are going to find that you are suddenly grabbing the cigarettes. Instead, look for something else to do to keep your mind on something else. The less you think about smoking, the less smoking you will actually do. If you follow a routine in your life, change the routine because that routine is going to lead you back to smoking. Find something else to do instead of going to the diner to talk with your smoking friends. If you smoke outside every day at 12:30, do something else at that time of the day. Put up pictures of the health problems people have with smoking, all over your house. 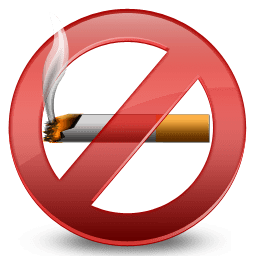 Nothing can wake you up to the dangers of smoking and why you are quitting like looking at someone with a hole in their throat that they have the breathe through now. Lastly, just stay positive because positivity will win the day for you.